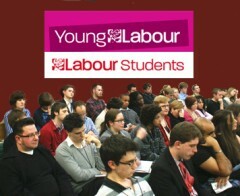 On the weekend of 24/5 February, Labour Students held its National Conference in Manchester. At this conference really important motions were discussed in terms of reforming the organisation’s internal workings. Aberystwyth University Labour Club had sent in a motion to introduce one-member-one-vote in elections to national committee. The motion passed but with amendments from national committee to investigate the financial viability of such a plan. Although many members may well be disappointed by this result considering the amount of great campaigning that went into it, it is a clear sign of democratic progress in Labour Students. The pro-reform group clearly shaped the debate at the conference as the main bone of contention with one-member-one-vote was financial viability and the vast majority of speakers (even those who spoke against the motion) were in favour of such reform in principle. More democratic reforms were passed such as scrapping club nominations and properly publicising Labour Students‘ constitution. Clear progress was achieved and those supporting democratic reform can really be proud of their efforts in successfully getting the ball rolling for changing the internal structures of Labour Students. fighting Coalition attacks on youth services. Young Labour also needs to make sure that these policies are being listened to by the party as a whole through representatives at conference and the national policy forum. If Young Labour fails to vocally campaign on these sorts of issues then it will become totally irrelevant to young people, seriously limiting our Party’s ability to appeal to the youth vote. Furthermore, Young Labour, with its new status as an affiliated Socialist Society, is now in a better position to campaign for the party to grant access to membership lists so that young members can be better organised locally. Young Labour now has the right to send a rule change to Party Conference to demand such access to membership lists and it should look seriously at such an option as a way of raising the issue in the party as a whole. Young Labour needs to also campaign to make sure that youth representation in the party is improved. Young Labour national committee should be ex-officio members of Labour’s annual conference and national policy forum. Change is certainly under-way in Labour’s youth and student wings. Young Labour has a real chance to ensure excellent youth representation in the party and to become an organisation that allows Labour to be better able to connect with young people. The June youth conference needs to set this change in motion. Posted in: Activism, Labour, Politics, Young People.